Dr. Susan Helfter is an artist-educator known for her community engagement work through music. 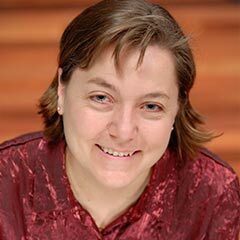 At the University of Southern California’s Thornton School of Music, Susan is Associate Professor of Practice for the Music Teaching and Learning Department and Director of the Thornton Community Engagement Programs. Through these programs, nearly 10,000 community members engage yearly in integrated music instruction facilitated by Thornton students, who also perform engaging concerts in the community where Angelinos naturally live, work and congregate. Susan’s current scholarly pursuits lie broadly in community engagement to support wellbeing, musician identity and career development, with recent work on models of collaboration in the forthcoming Oxford Handbook of Community Music. Susan’s own love for community music emerged through participation as the youngest member of the family brass quintet, intergenerational piano-playing, and years of participation in community bands in Manitoba, Canada.